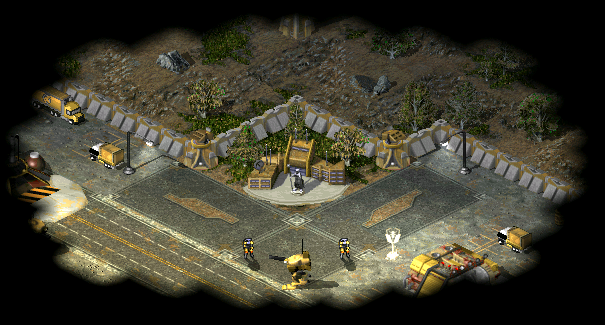 The Second Tiberium War is a standalone modification for Command & Conquer Tiberian Sun. Features include new units, structures, maps, veteran upgrades, difficult AI, higher resolution menu's, audio effects, improved cameo's, Windows 10 support, and a large overhaul to the game play experience. Beautiful Doom is the grandfather of most enhancement mods, including the well-known Brutal Doom. First released back in 2008 this mod aims to improve each and every single object in Doom, making them smoother, more impressive visually and having better sounds while retaining VANILLA gameplay. Keeping original vanilla gameplay is the core of Beautiful Doom. You will see smoke, casings, debris, hugely enhanced gibbing system, smooth weapon animations, but it will all play the same as vanilla Doom plays with (G)ZDoom. A single-player story oriented campaign in the BLOOD universe. It continues Caleb's adventure after the first original game events. This project utilizes original assets, but uses all the modern graphics technologies of the GZDoom engine. Authentic bloody atmosphere of black humor and cruelty was carefully preserved In BLOOD: the Curse Hunter. Another goal was to focus on designing an alloy of classical and modern game mechanics. All this makes the BLOOD universe even more alive, interactive and interesting. No wave-based gameplay! The title of the mod is self explanatory, it replaces everyone with Max Payne, not only that but also replaces the death sounds of mobsters and etc. You can also play with other mods with this. Also i´m currently working on changing some of the dialogue to make the mod funnier but for the moment i only made the part of the character replacement. This is a new TC for Wolfenstein 3D, using the latest dev version of ECWolf (click here to download), using resources from Nitemare 3D by David P. Grey. This also features 10 all new levels (9 regular and 1 secret), utilizing some of ECWolf's exclusive features, such as new weapons, new and interesting enemies, switch activated doors, ROTT-style elevator/teleporters, map sizes over 64x64, breakable scenery and walls and much more! Wow, my mod drawn this much attention? I´m surprised! Ah. Finally, I can see this web page's contents! Hey. How come these awesome weekly mod and indie game posts have their own timer countdowns? Just post them right away when done.